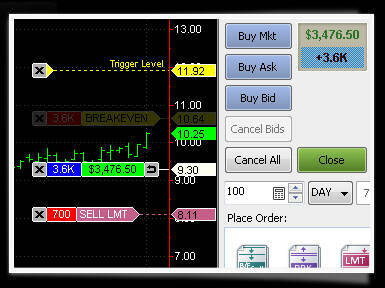 MultiCharts Trading Software provides charting, backtesting and automated trading. Futures Trading Platforms provides Futures and Commodity trading with MultiCharts using the TT data feed. Talk to one of our Futures and Commodity Brokers to find out more about MultiCharts and setting up a Futures and Commodities trading account using MultiCharts. MultiCharts’ strength is in its features, flexibility, and commitment to following industry programming standards.MultiCharts MultiCharts provides all the necessary features you may need in a trading platform. Our features allow you to create sophisticated trading strategies for your trading. Our flexibility allows you to choose the optimal data vendors and execution gateways. MultiCharts is also compatible with the industry-standard EasyLanguage developed by TradeStation. MultiCharts provides Chart and Dom Trading of Futures and Commodities. If you need help setting up MultiCharts, talk to one of our Futures Trading Brokers for help. Sign up with Futures Trading Platforms for Discounted Futures Trading using MultiCharts .